Site Update: Major Sitewide Changes! We have made many amazing changes to WiiWareWave this week! We've also created a few more bugs as well, but we believe that the positives currently outweigh the negatives of our latest site update! Below is a list of our major changes! Index Page Features And Changes! We have changed the overall design of the index page of our forums and the topic list pages of our forums to look more defined and catchy. 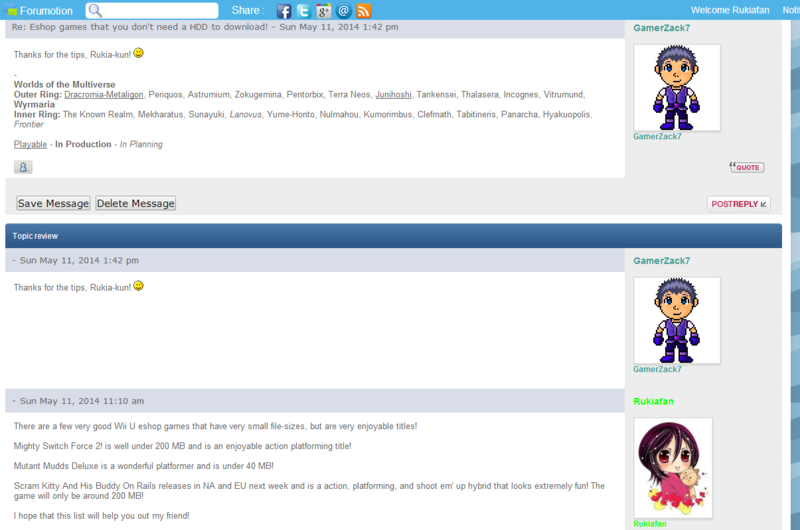 Our last post avatar in our forums has been perfected and now works with all usernames and updates automatically! A new footer on our website has been added and includes useful links and an upcoming games list to see when the best upcoming games will be released! Changes To The PM System! Minor changes to the look and features of our private messaging system have been made! A few more minor changes are coming later today! Changes To Our Online Polls! Our poll system has been completely revamped visually, but there are a few visual bugs that need to be fixed. Starting Thursday May 22nd we will be sending out a weekly newsletter with news highlights, news about changes to the website, and our reviews for the week! Our advanced user profiles have been messed up. Topics with polls have a line of text that appears just below the poll results. We hope that you enjoy these amazing new features and look forward to your comments below! Re: Site Update: Major Sitewide Changes! The update is incredible and I can't wait for the weekly newsletter! It's a shame that the cool user profile menu was erased. These changes make the website look like one of the professional game websites like Nintendo Life! The admins have done a great job with this latest site update!